from the moment you enter the door! 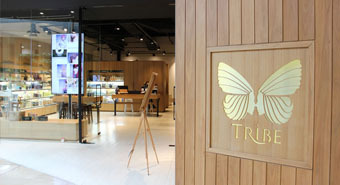 Your appointment at Tribe Lifestyle Chatswood includes a thorough consultation and our signature ritual. Our salon is progressive and constantly at the forefront of hair fashion. This dedication to our craft translates to fresh ideas and ultimate client confidence. Hair types vary dramatically, prices are a guide only and firm price provided at time of consultation. In keeping with our commitment to sustainability we exclusively use Aveda products and recycle 95% of our waste. Hair salons are high users of energy and waste so we are proud to set a benchmark in small business sustainability. Weekend and Public Holiday appointments will incur a 15% surcharge for all services across our 4 salon locations.